Vice Admiral Girish Luthra, Flag Officer Commanding-in-Chief, Western Naval Command, is on a two-day official tour to Seychelles in conjunction with the goodwill visit of Indian Naval Ships Trikand and Mumbai to Seychelles. 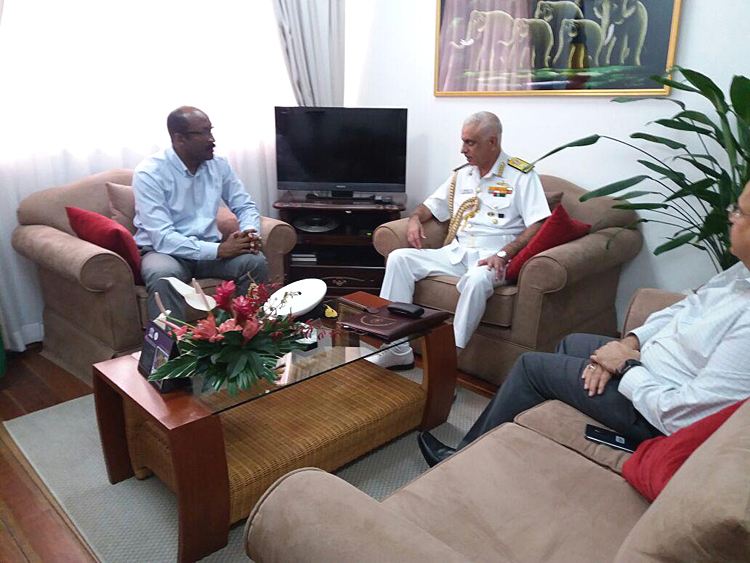 The FOC-in-C (West) accompanied by His Excellency Dr Ausaf Sayeed, the Indian High Commissioner in Seychelles, called on His Excellency Mr Vincent Meriton, the Honourable Vice President of the Republic of Seychelles. 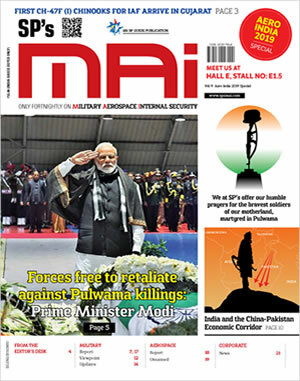 Issues related to defence and maritime co-operation were discussed. 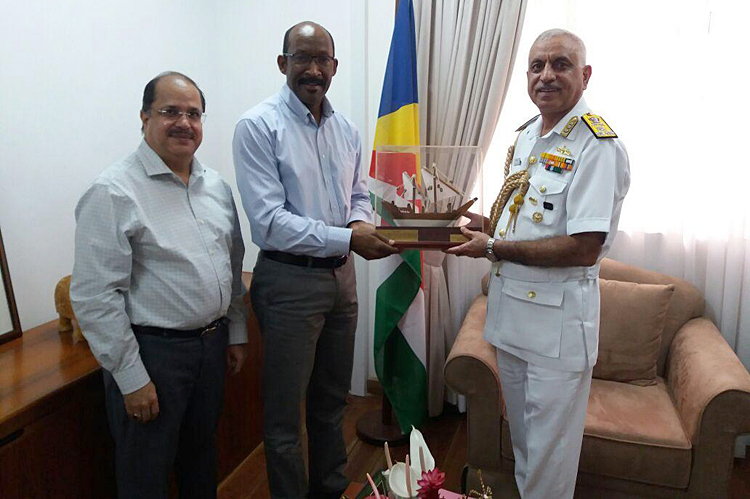 The FOC-in-C (West) also called on Brig Leopold Payet, the Chief of Seychelles People’s Defense Forces (SPDF). 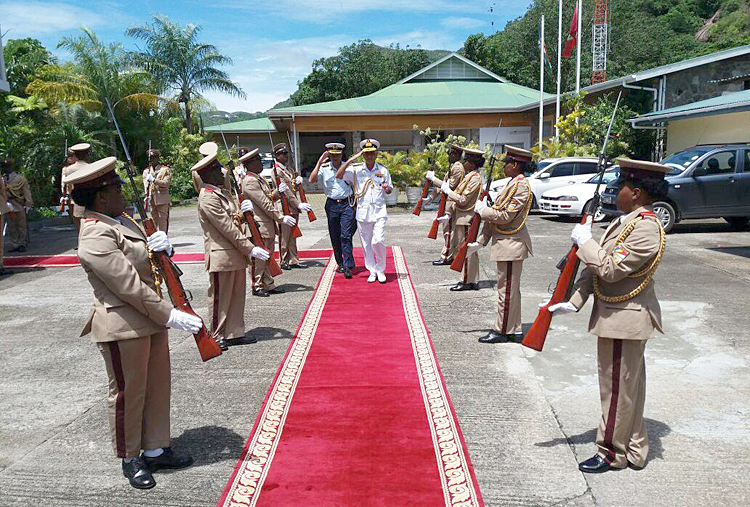 On arrival at the SPDF HQ, the FOC-in-C (West) was received with a Guard of Honour.